Acupuncture may be defined as the insertion of needles into specific points on the body to produce a healing response. Each acupuncture point has specific actions when stimulated. 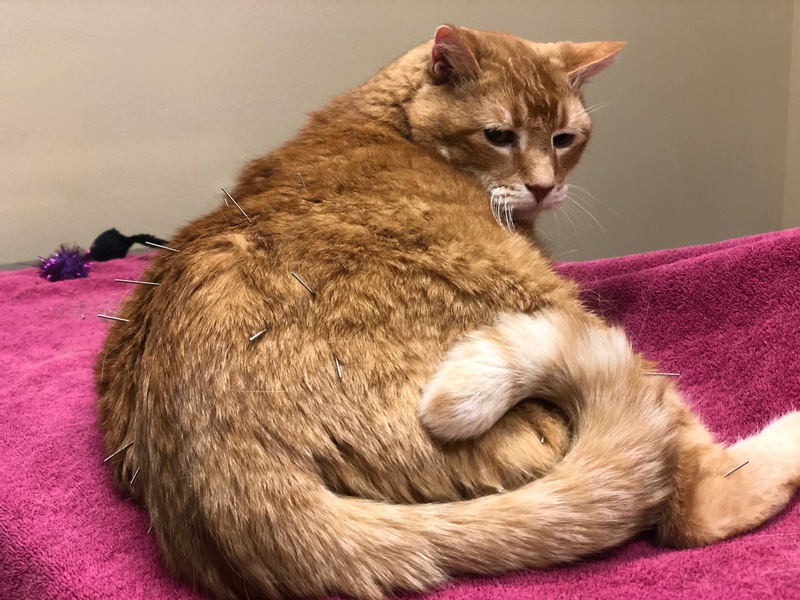 Clinical scientific research has been conducted showing positive results in the treatment of both animals and humans, and the use of acupuncture is increasing. Acupuncture will not cure every condition, but it can work very well when it is indicated. Dr. Cynthia Wiseman is a Certified Veterinary Acupuncturist. In western medical terms, acupuncture can assist the body to heal itself by affecting certain physiological changes. For example, acupuncture can stimulate nerves, increase blood circulation, relieve muscle spasm, and cause the release of hormones, such as endorphins (one of the body’s pain control chemicals) and cortisol (a natural steroid).